21 Yrs. – 65 Yrs. 2 wheeler Loan EMI is the amount that you pay every month to the bank or financial institution in order to repay your loan. EMI is composed of both principal amount and interest component. Interest component on your EMI is higher in early months and reduced with each EMI. Two wheeler Loan EMI Calculator helps you to calculate your monthly EMI at desired interest rate for a particular tenure. Processing fees – Most banks charges minimum processing fees of Nil to upto Rs.1,000. 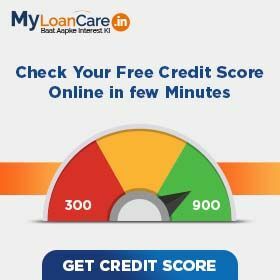 To get lowest fee, comparison of 2 wheeler loan rates, offers and cashback applying online through MyLoanCare. Insurance premium – Bike loans are secured loans, but it is advisable to take an insurance policy when availing a loan. However, the premium varies from bank to bank depending upon the risk coverage under various policies. So, check the loan sanction letter carefully to know the coverage and premium. Prepayment and foreclosure – When you want to repay your loan partially before time, it is called part prepayment. In case you decide to pay the entire loan amount before time, it is called foreclosure. Banks typically levy prepayment or foreclosure charges in such situations and these can range from nil to even upto 3%. So, check carefully if the low interest rate auto loan you are getting comes with high prepayment or foreclosure charges. Note that some auto loans cannot be repaid before time. Down payment – Banks offer auto loans either at 80% of on-road price or 100% of ex-showroom price. However, 80% of on-road is almost equivalent to 95% of ex-showroom price. You are advised to fund maximum as down payment as it reduces your burden of high monthly payments. To get best and lowest two wheeler loan interest rates online, read the do’s and don’ts mentioned below. Why do I need two wheeler loan? Two wheeler loans are usually taken to buy a new bike or used bike. Auto loan rates are given at fixed or floating rate. If you have a low CIBIL score, then you should not apply in multiple banks for 2 wheeler loan as each rejection will drop your CIBIL score. How can I apply for two wheeler loan? You can apply for 2 wheeler loan in several ways. You can directly visit the bank branch and meet the sales person, contact a two wheeler finance agent or apply online at any bank or NBFC’s website. You can also compare auto loan best interest rates of all banks online at MyLoanCare and apply for 2 wheeler loan. What is the minimum and maximum tenure of two wheeler loan? Auto loan is generally taken for a short period of time. Generally, bike loan tenure is between 2 years to 5 years. What are the charges for two wheeler finance? Apart from rate of interest, there are two types of charges being charged by the banks. Two wheeler loan processing fee: This is charged when you apply for the loan. The processing fee charged on 2 wheeler loan is upto Rs. 1,000 of the loan amount and could be reduced if you can bargain. Two wheeler loan preclosure fee: This is charged when you close your loan before the completion of loan tenure. Prepayment penalty charged may be upto 3% of the outstanding amount. Auto loan CIBIL score is very important. Good CIBIL score indicates good repayment record and hence banks can offer you higher loan amount at low rate of interest for two wheeler finance. Bad CIBIL Score will result in either loan at higher interest rate or rejection of the loan application.So, make all your payments on time and maintain your CIBIL in order to get best auto loan rates. What is ex-showroom price and on road price? Ex-showroom price is the price of the bike including excise duty but excluding local duties and statutory charges. On road price is the price you pay for the two wheeler including the ex-showroom price and cost of registration, insurance, octroi, municipal entry tax, road tax and any accessories. The on road price tends to be 15-25% more than the ex-showroom price and may vary from city to city. Do I need to open a bank account to service my 2 wheeler loan? Yes, you need to have at least one functional bank account in your name to get an auto loan. It is even better if you have an account with the same bank from which you would like to get an auto Loan. What are the main factors that affect interest rate of two wheeler loan? Two wheeler loan lowest interest rate depends upon factors like down payment, loan tenure, credit report and your net income. High income with good CIBIL and maximum down payment can lend you loan at low interest rate. How can I prevent rejection of my loan application? You should not be having too many loans running at one time. Banks can reject your application if you are already paying too many EMI’s at same time. Don’t give you landline number for tele-verification if you know that nobody else is there at home when you are at work. A typing mistake in apartment number can also put negative impact on lenders. Banks or lenders keep on adding these small things and reject your loan application. What should I do if my auto loan application gets rejected by bank? Some possible reasons why your application gets rejected are already running multiple loans and hence a bank may be in doubt about your repayment ability of a new loan. In this case, if you have a spouse who is also working, you can add him/her as a co-applicant to boost the combined salary levels. Balance transfer of your existing loans so that the rate of interest on loans can come down and additional loan can be availed. Nowadays, almost all banks offer attractive schemes on Two Wheeler Loan at competitive rates with many customer friendly features. You can do rates comparison, check your eligibility, calculate EMI, apply online and get the best Two Wheeler Loan rates. MyLoanCare helps you throughout the loan process from the day you apply to the time you get disbursement. You can register with us, track your loan status on a regular basis and get an option to earn attractive cashbacks and refer and earn benefits. Kia Motors India has announced its partnership with eight financial institutes to offer financial services to its stakeholders in India. The company has signed a Memorandum of Understanding (MoU) with State Bank of India, Bank of Baroda, Axis Bank, HDFC Bank, ICICI Bank, Yes Bank, Kotak Prime and Mahindra and Mahindra Financial Services Limited. The partnerships will let Kia offer term loans, inventory funding and other credit solutions to customers at competitive interest rates and flexible loan tenures. In a bid to promote electric vehicles in the country at a faster rate, the Indian government is planning to ensure simpler ways to avail loans to purchase new electric vehicles. With the introduction of easier auto loan schemes, the individuals will be able to buy electric vehicles at a much lesser cost. The leading insurance regulator, Insurance Regulatory and Development Authority of India (IRDAI) has asked insurers to refrain from seeking Aadhaar from the insurance policyholders. In a circular, the insurance regulator notifies that along with Aadhaar, insurers should not mandatorily seek PAN/Form 60 as part of Know Your Customer (KYC) norms. However, the insurers may accept Aadhaar card as one of the identity or address proof documents for KYC purpose subjected to certain terms and conditions. Earlier this week the government has announced that one has to link his Aadhaar document with driving license to eliminate the instances of fake or multiple driving license.